Brightheart. My favourite cat, has got INJURED! NOOOOOO!. 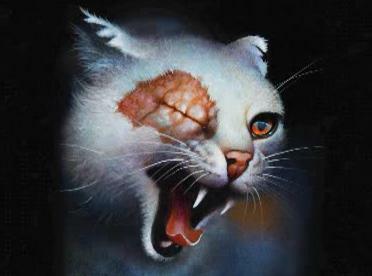 Wallpaper and background images in the Warriors (Novel Series) club tagged: warriors cats warrior clan brightheart injured hurt scar face. My favourite cat, has got INJURED! NOOOOOO! This Warriors (Novel Series) fan art contains बिल्ली का बच्चा, किटी, किट्टी, टॉम, बिलाव, टॉमकैट, बिल्ली, सच्चे बिल्ली, and सच बिल्ली. There might also be तेंदुआ and पैंथर. Brightheart's gonna kill someone XD. Sorry, but I'm also sad she got injured. Nice pic though.